Peace Ranch offers the experiential, sensory-rich clinical therapies recommended and prescribed for the treatment of trauma-related issues including PTSD, depression, anxiety, and addiction. Therapy sessions are facilitated by licensed, certified professionals and are customized and directed by the client’s needs and goals. Equine Assisted Psychotherapy (EAGALA Model) is an interactive, hands-on model which employs the unique characteristics of the horse. EAP plus music (rhythmic) and art (expressive) therapies are integrated by our team offering the cutting edge of treatment for traumatized individuals. Licensed professionals provide all services at Peace Ranch. These efforts are supported by the dedication of volunteers who serve at every level in the organization. Since insurance doesn’t yet cover these services, we rely on the generosity of our donors and sponsors to underwrite the programs. Every penny helps. 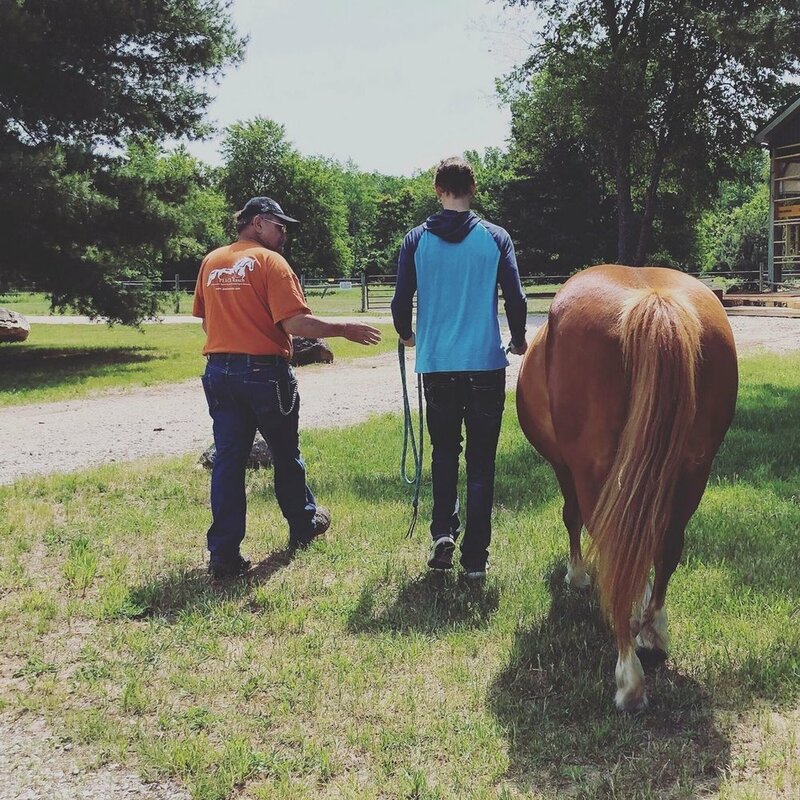 Peace Ranch also offers a broad range of experiential education opportunities for students of all ages including classes, internships, team building, mentoring, and leadership training. Peace Ranch offers EAGALA Model Equine Assisted Psychotherapy (EAP) which incorporates horses for emotional growth and learning. 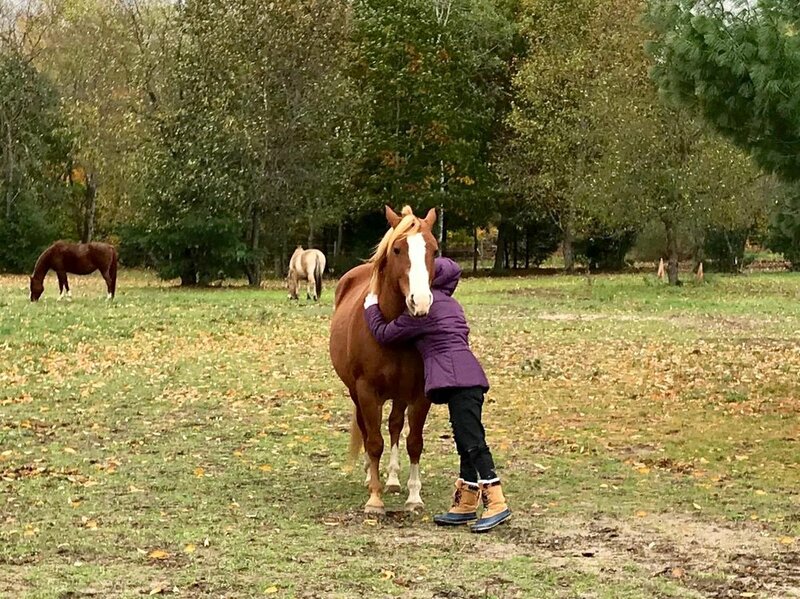 EAP is a team approach to issues with a licensed therapist, an equine specialist working with the clients and horses to address treatment goals. 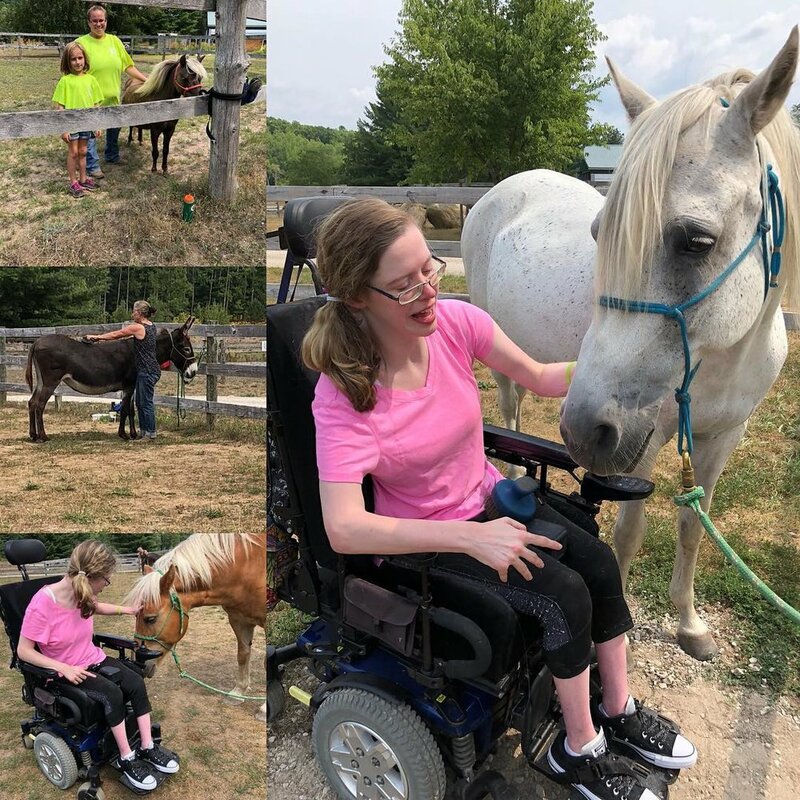 Clients learn about themselves and others by participating in activities with the horses, and then processing (or discussing) feelings, behaviors, and patterns. See our Fee Schedule for a sliding scale based on income and number of dependents. Equine Assisted Learning (EAL) is an experiential approach that provides an individual or group the opportunity for personal or professional growth and skill building. 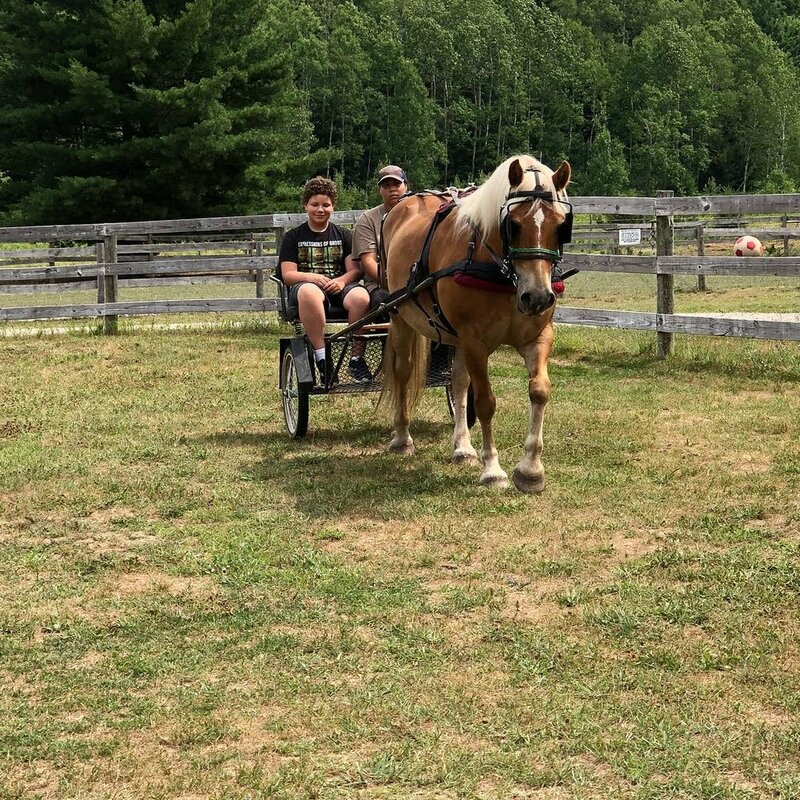 Visiting Peace Ranch is both a fun and effective way for at-risk youth, developmentally disabled adults, and other vulnerable populations to achieve personal growth and development goals through skill building with horses. Groups are privately contracted for up to 8 participants. A qualified equine specialist certified by EAGALA and/or PATH is provided. Our team at Peace Ranch can assist you in creating custom, topically-focused groups designed to meet the needs of any age group around any topic. Anger management, addiction and recovery, growing in God, and personal empowerment are just a few examples. Focus groups are designed for 4-8 people. Let Peace Ranch design custom programs for your group that offer a variety of equine activities which provide valuable insight into team dynamics. The possibilities are endless, including corporate team building, brainstorming, pre-employment assessments, the introduction of new team members, and discovery for existing teams. Local clinicians and agencies may now offer EAGALA Model Psychotherapy to their clients via Professional Partnerships. Peace Ranch offers our partners unparalleled experiences and expertise, plus, all that is available at the ranch. Partnerships are governed by a Memorandum of Understanding defining each partner’s responsibilities. Peace Ranch partners with local and government agencies to serve Veterans with combat stress, re-entry issues, PTSD, MST, and other military trauma issues. Facilitators are specifically certified to work with military personnel and those who have experienced military culture. Services are free of charge to all Veterans and their families. Peace Ranch donates 100% of these valuable services to Veterans. The success has been documented and is made possible through the generosity of our donors. If you are a Veteran, make an appointment by emailing info@peaceranchtc.org. Child & Family Services of Northwest Michigan and Peace Ranch have partnered to serve children and families in crisis. Children and families receiving services through this partnership receive services free of charge. The success of this program is documented and is made possible through the generosity of our community and sponsors. Make an appointment by emailing info@peaceranchtc.org.